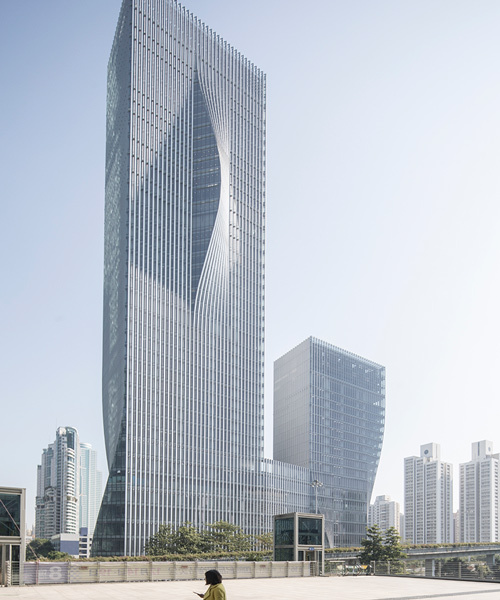 bjarke ingels group (BIG) has completed a skyscraper in china that features an undulating building envelope. 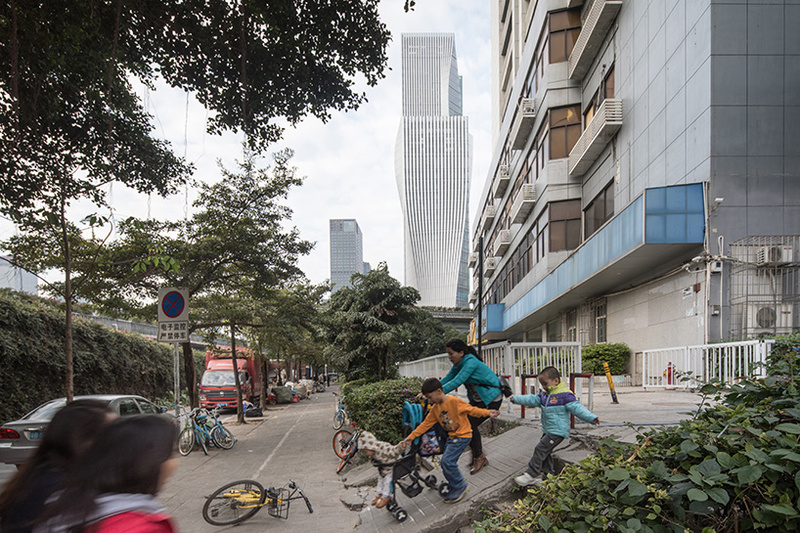 located on a prominent plot in central shenzhen, the development comprises two towers, which top out at 220 and 120 meters respectively. 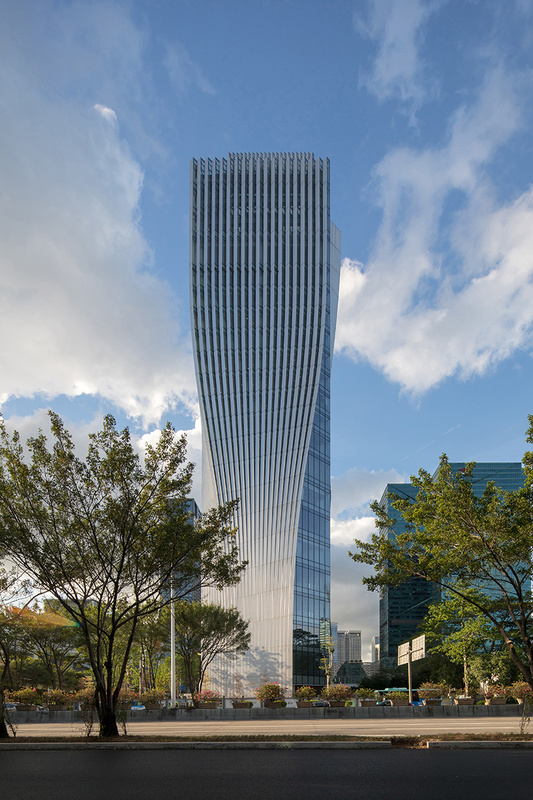 these high-rise structures are connected with a 34-meter-tall podium that houses the main lobbies, a conference center, a cafeteria, and exhibition space. 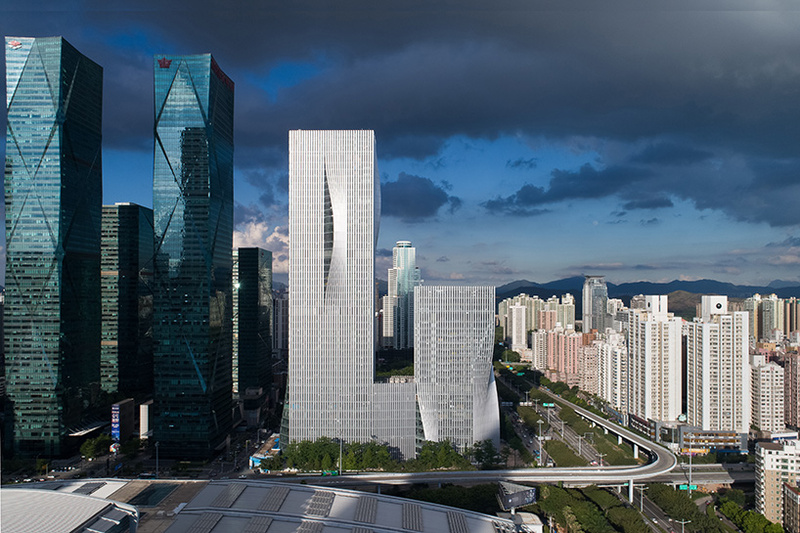 as an ensemble, the development forms the ‘shenzhen energy mansion’. 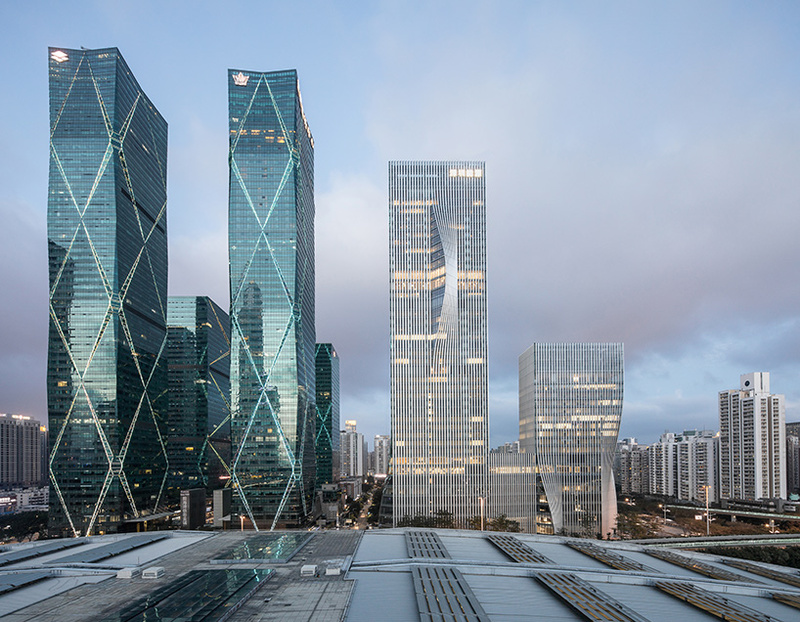 working alongside arup and transsolar, BIG won the competition to complete the project in 2009, with construction getting underway in 2012. the 96,000 square meter office building has been completed for the state-owned shenzhen energy company, and is designed to look and feel at home in the city’s cultural, political and business center. 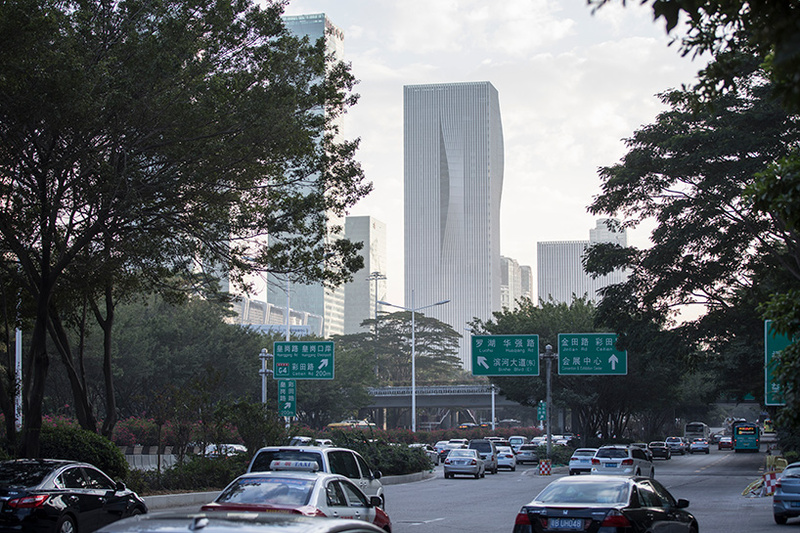 perhaps most importantly, the building’s skin has been developed to maximize sustainable performance and workplace comfort in china’s local subtropical climate. 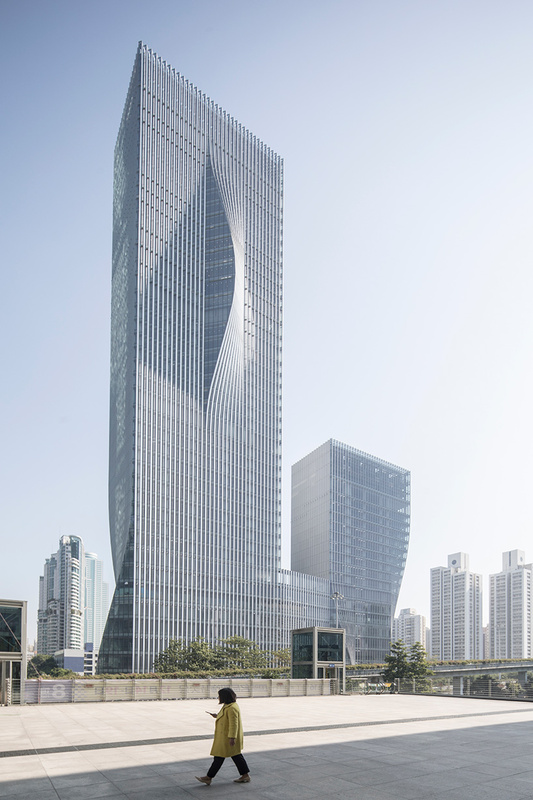 standing in contrast to traditional glass curtain walls, the distinctive undulating envelope creates a rippled skin around both towers. 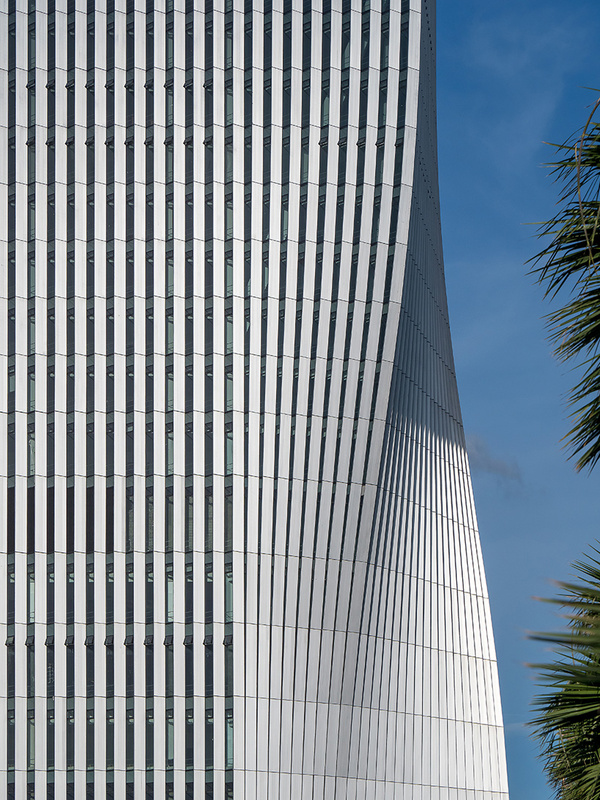 in order to reduce solar loads and glare, the envelope has been manipulated in order to provide high-insulation while blocking out direct sunlight. 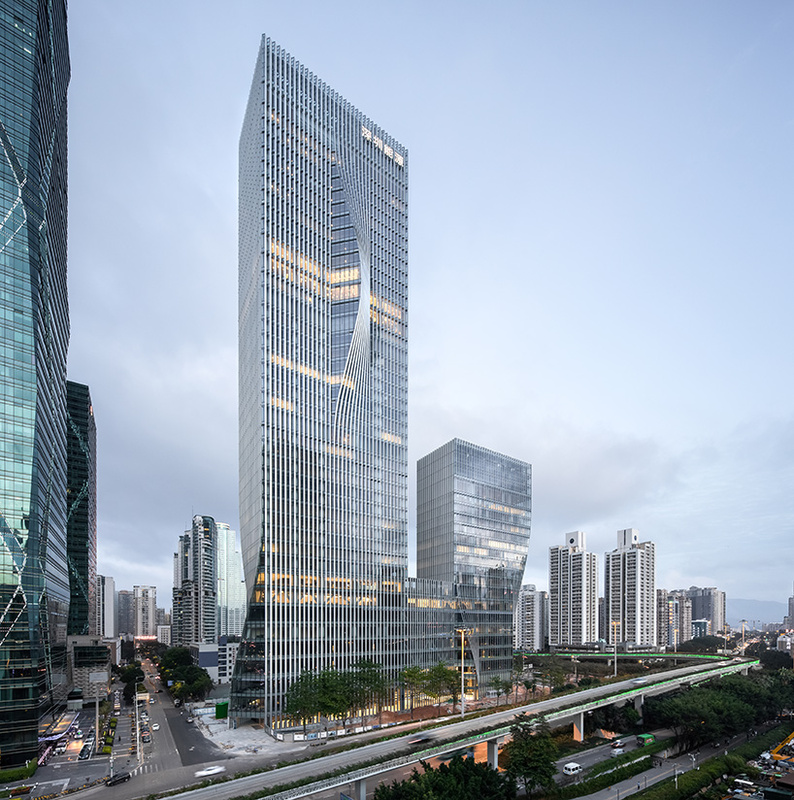 consequently, the façade responds to the sun’s movement by maximizing north-facing openings for natural light and views, while minimizing exposure elsewhere. 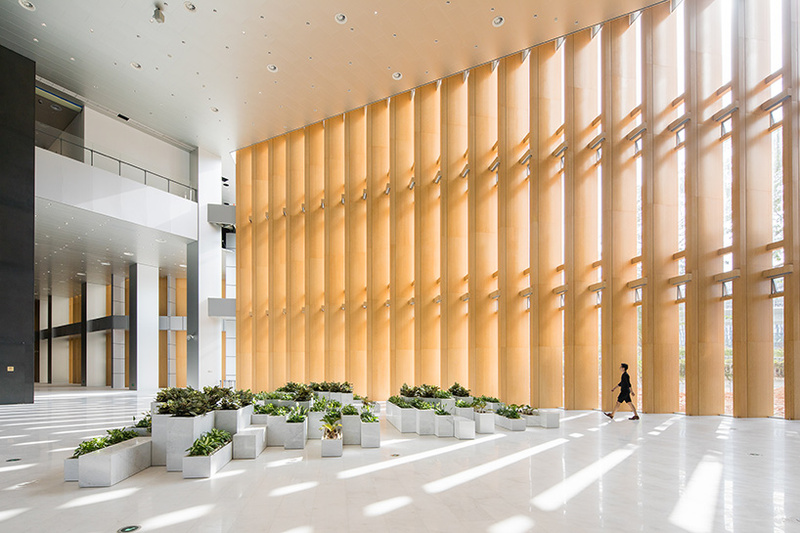 at street level, a series of openings allows visitors to enter commercial spaces, while workers enter via the front plaza into a daylight-filled lobby. 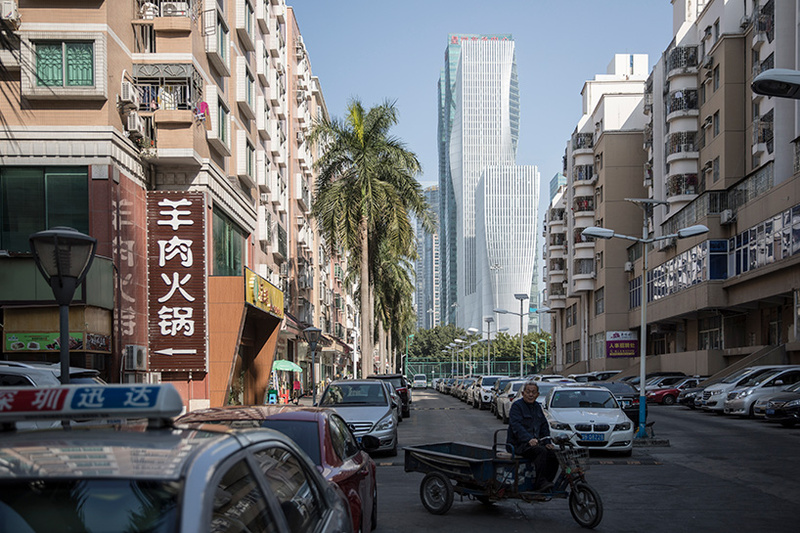 offices for shenzhen energy company are placed on the highest floors, while the remaining levels offer rentable office space. 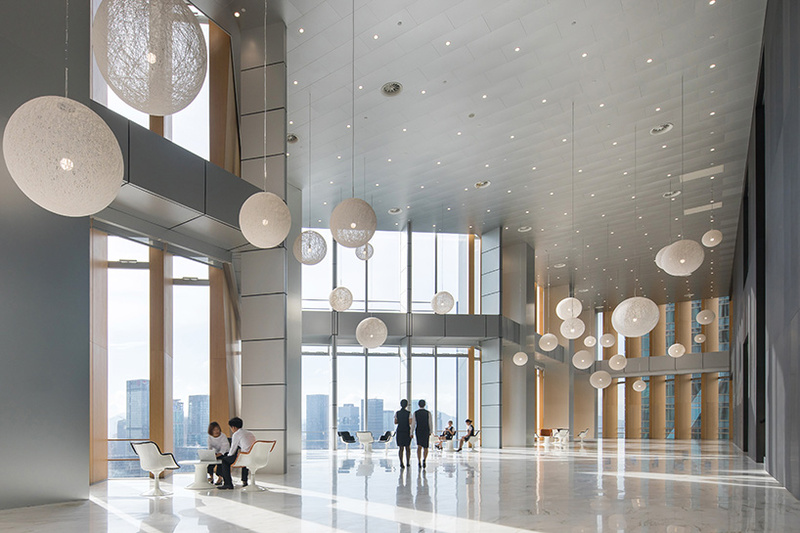 enhanced views are provided where the façade protrudes, with large spaces containing meeting rooms, executive clubs, and staff facilities.